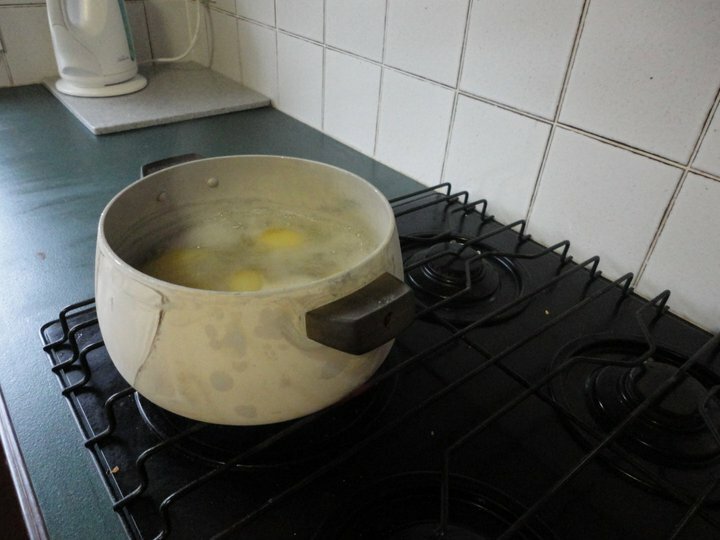 then drain in a colander and leave to steam dry for 3 minutes. 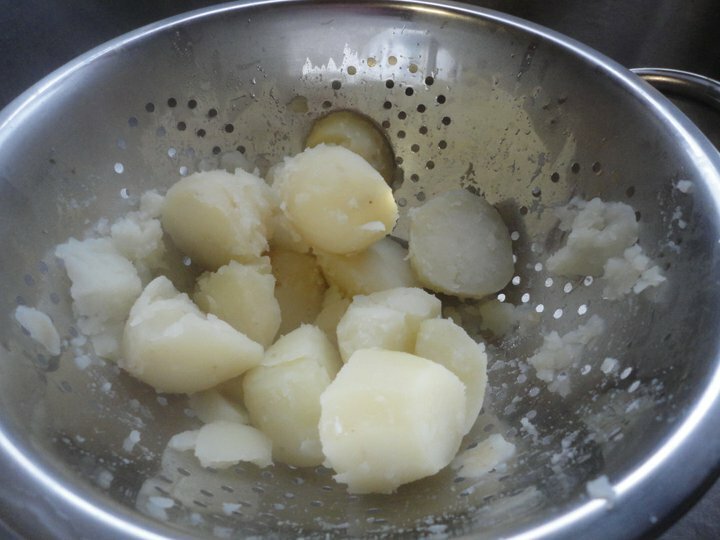 Give the colander a bit of a shake to help chuff up the potatoes – this will help to make them super crisp later on. At this point, you need to decide which flavour combo to go with. Tip your potatoes into a tray or pan in one layer, and add your fat – olive oil, butter or goose fat – then season really well with salt and pepper. At this stage, I’m not going to add any more flavour. 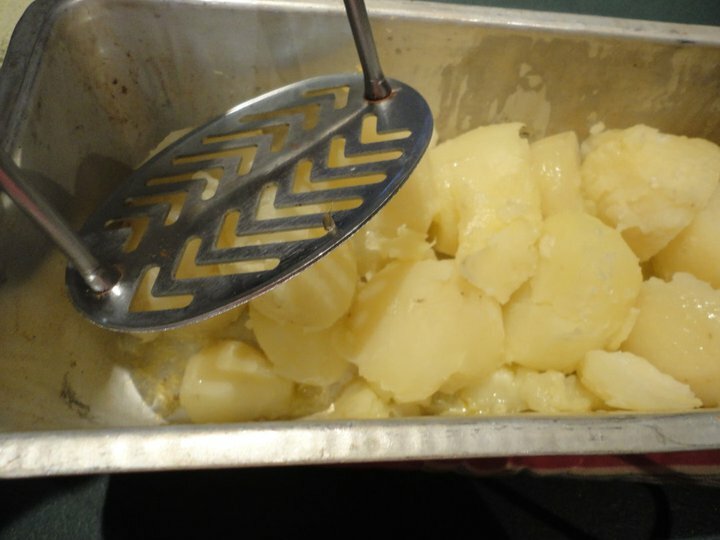 Toss your potatoes in the fat, or use a spoon or fish slice to mix it all up. 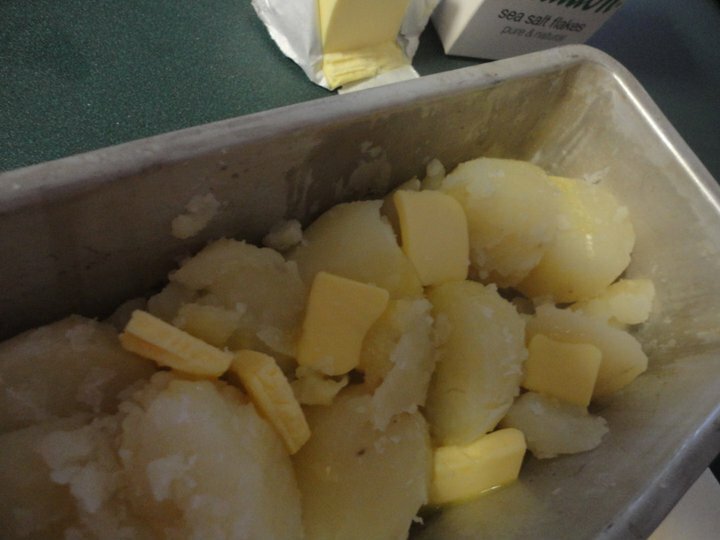 You could get the potatoes up to this stage the day before, simply cover them with cling film or tin foil and pop in the bottom of your fridge or in a cool place until you need them. Put your potatoes in the hot oven to cook for 30 minutes until lightly golden and three quarters cooked. Now’s the time for Jamie's trick. Gently squash each potato with a potato masher to increase the surface area – the more of your potato that’s in contact with the pan, the crispier it will be. Whichever fat you’re using, you now want to prepare the rest of the flavourings. Add a good lug of olive oil to a small bowl and add the herbs, garlic and a splash of red wine vinegar, then scrunch and mix it up a bit. If you’re using butter, peel in a good few strips of Clementine zest with a speed peeler – you won’t eat these but they’ll add amazing flavour. 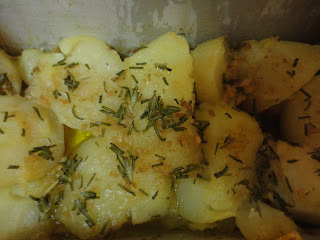 Add the flavour to your potatoes and give the pan a good shake, then pop back in the hot oven for 40 to 45 minutes until perfect for your liking. You’re looking for gnarly, crispy, bubbly and delicious. Transfer to a plate lined with kitchen paper to drain off some of the excess fat, then tuck in! I’d be happy with any of these flavour combos, but this year I’ll be going for butter, but maybe with the rosemary and garlic. So you really can mix it up however you like.